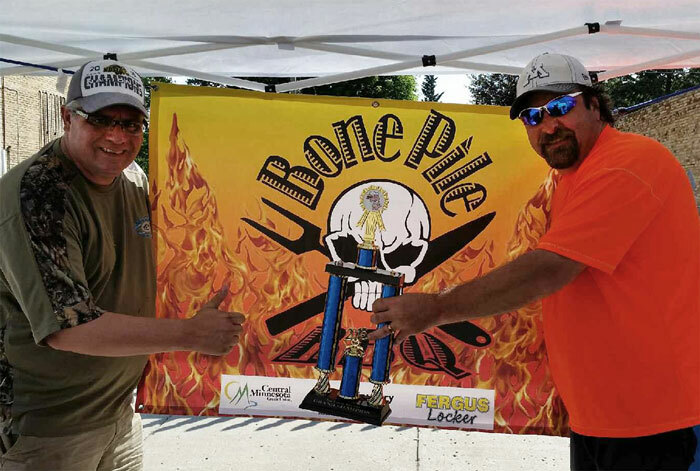 Each year, cookers from around the region gather for a grilling show in Perham. Each team has the opportunity to face off in a rib AND a chicken competition. Preliminary judges conduct a blind taste test for each entry and send the top six to the final round of judges. After another round of blind taste testing, the winners are confirmed! The event is open to the public. People are encouraged to come chat with the cookers during the day – they might just share their secret recipes! Concessions are available throughout the day with a serving line available after the judging is completed. Everyone is able to sample the ribs and chicken from all of the cookers, along with a variety of sides. Location: Compass/Arvig parking lot at 155 Second Avenue SW in Perham. Music & Beverages throughout the day. Feasting time is 4pm to 6pm (while supplies last).